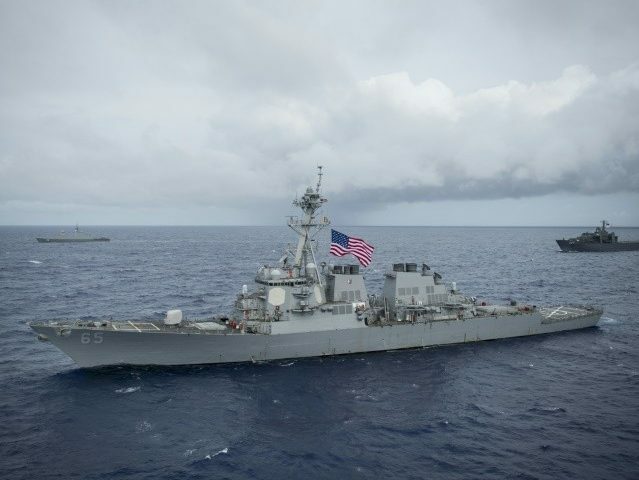 The U.S. Navy confirmed Monday that it sent two warships through the Taiwan Strait earlier in the day, in a move that is likely to irk China. “USS Curtis Wilbur (DDG 54) and USS Antietam (CG 54) conducted a routine Taiwan Strait Transit on Oct. 22, in accordance with international law. The ships’ transit through the Taiwan Strait demonstrates the U.S. commitment to a free and open Indo-Pacific,” said Navy Cmdr. Nate Christensen, U.S. Pacific Fleet deputy spokesman. “The U.S. Navy will continue to fly, sail and operate anywhere international law allows,” he said. The Taiwanese issued a statement on Monday, announcing that the transit took place. “The relevant details were explained by the U.S. government,” the statement said, according to a Google translation of the statement. It is the second time this year that the U.S. Navy has conducted such a transit; the first occurred in June.